CRIME, GUNS, AND VIDEOTAPE: What’s Next for Zimmerman in the way of Prosecution and Litigation? Real Answers! What’s Next for Zimmerman in the way of Prosecution and Litigation? Real Answers! Sanford, FL- Media pundits have suggested that George Zimmerman faces a possible federal Civil Rights criminal prosecution and a wrongful death civil lawsuit. I have to ask, when will the hogwash end? These are incredibly vicious but hollow threats. Let’s talk about a criminal Violation of Civil Rights action. The facts are not there nor have they ever been outside of the wild imagination of the race baiters. The actual code, Title 18, U.S.C., Section 24 is at the bottom of this article. The case against Zimmerman will not somehow get better with age. It’s been investigated to death and the only evidence of race related hate came from Trayvon Martin’s own lips when he referred to Zimmerman as a “crappy assed cracker.” A prosecution here cannot begin with thin air but will require evidence. It’s just not there. Public opinion can’t rewrite the law to law somehow snag Zimmerman now. A civil action for a wrongful death under FL state law is barred by a provision that grants immunity to someone using lawful self-defense. I won’t go so far as to say some lawyer may breech this protection however it’s unlikely. If somehow a wrongful death case were allowed to proceed the Martin family would still have to prove their case in court with evidence, granted with a lower burden of proof. The insurmountable problem for the Martin family is the cost of the suit and the reality that Zimmerman has no assets to attach. We outlawed Debtor’s Prisons long ago and even a multi-million dollar court judgment would have the value of toilet paper. George Zimmerman already has a viable action against NBC News for portraying him in a bad light after they maliciously doctored a 911 tape to make Zimmerman appear to be racist. NBC is in serious trouble here and will wind up paying. They will be hoping for a jury that will hate Zimmerman and only award him $1 for his trouble. Frankly a hefty secret settlement is in the cards for Zimmerman here. I don’t rule out an action against Obama and his henchmen for their outrageous interference and obstruction of justice in the Zimmerman matter. Next there are the despicable actions of Special Prosecutor Angelia Corey however immunity exists protecting her for all but provable, intentional Civil Rights violations. The bad news for Zimmerman is this may ultimately be a public relations war. 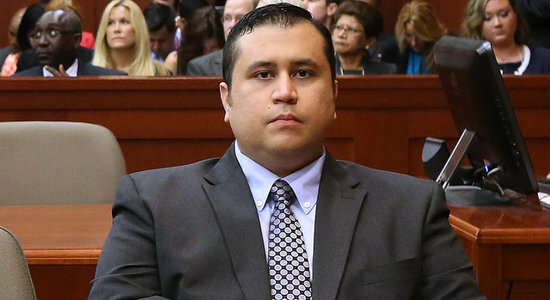 The malicious smearing of George Zimmerman by politicians and the media is far from over. while the Government is treating us like a bunch of slaves by spying on us and taking away our liberty, privacy and droning on and on. Beyond George Zimmerman: where's the outrage about black-on-black crime? Beyond George Zimmerman where's the outrage about black on white crime? WHAT DID AMERICA LEARN FROM THE TRAYVON MARTIN CASE? Let us see the full criminal picture in USA - Media Please Don't Edit - So we only are left with the Zimmerman/Martin trial - That is truly discrimination!!!!! Paul, I think it was Nicholas Stix/VDare who said Corey was not protected from a libel suit when asked afterwards what Z was and she replied "murderer". Yes, the government wants to keep us divided into (and defined by) groups (races), and have us fearful of each others groups. They want us divided, and therefore conquered. They do NOT want us united against our criminal federal government. It is obvious that the government no longer follows the law with regard to their own conduct, but demand perfect adherence from the tax-slaves i.e. - everyone else. When will people realize that these corrupt governments have nothing to offer them - and stop lending their support? HELP! HELP! HELP! I need help from my pals! Concealed Weapon Legalization Comes to Illinois! Celebrating the 4th Of July? Really in 2013?